Because of injury or severe tooth decay, a tooth may lose a large part of its outer structure. This causes the tooth to lose the ability to bite down or chew. In most cases, a severely damaged tooth will have its dentine and pulp exposed, resulting in terrible pain. Using a dental crown, the dentist will cover the damaged tooth and stop it from falling apart. The crown will remove the tooth's vulnerability to pressure and temperature, and restore its ability to chew and grind. A broken down tooth leaves its dentine and pulp exposed to all kinds of external factors. Bacteria will easily access and infect the inner tooth, which will result in pain. The tooth will be sensitive to heat and cold, which will also cause pain. Brushing and flossing also bring about pain. After mealtime, removing food particles lodged between your tooth can be a special kind of agony. Dental caps are one of the restorations that reshape badly-broken or misshapen teeth. They also cover up stains and close gaps between teeth. For people who have crooked or uneven teeth, dental crowns give the teeth a uniform shape, length and size. Few cosmetic dental treatments can fix an imperfect smile the way dental caps can. No oral surgery is needed to place a dental cap. All the dentist does is clean the tooth, file down the enamel and fit the dental crown over the prepared tooth. There is no cutting or stitching needed. This is superb because the restored tooth becomes fully functional only a few days after the placement of the crown. 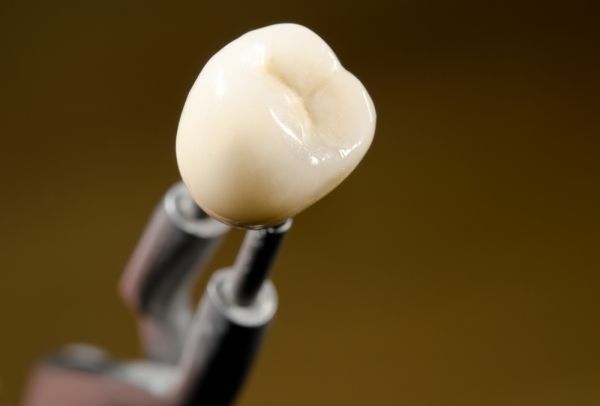 Cleaning a dental crown is just as easy as cleaning a natural tooth. The dental hygiene routine is the same. By brushing and flossing twice a day, and by getting regular dental checkups, you will take care of the crown as well as the rest of the teeth.